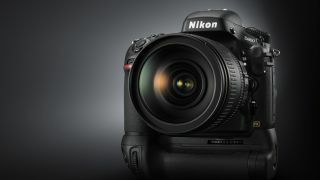 Nikon has said that the incorrect pricings of its two latest DSLRs was a "genuine error"
We have been in touch with Nikon UK, who explained more about the pricing error surrounding the Nikon D4 and Nikon D800, which have risen in price by up to £500 due to a "systems error". Jeremy Gilbert, UK marketing manager said, "What's important is that we are honouring the pricing. There has been an error on the system that got flagged when we started shipping the product, it's a genuine error." "These things are never easy, it's a genuine mistake which we have to rectify, but we have tried to ensure that we minimise any customer dissatisfaction, and we've been proactive as possible to ensure that pre-orders are met." Gilbert said that he didn't believe that the D4 price increase to within just £10 of the Canon 1DX would affect future sales, "The price shouldn't detract from how good a product we have, and I don't think it's necessarily going to affect the long term future of the product, it's still a good product." Nikon was also keen to make clear that the error in pricing was UK only, so it affects only the UK and Irish markets. Some have suggested that this means the cameras can be picked up for (comparatively) cheaper abroad. "There is always a little bit of fluctuation with pricing globally, on all products, but we made a mistake and that's been identified and we had to change that mistake," said Gilbert. Getting hold of both the D4 and D800 has proven tricky for customers as demand has been so high. "There is some stock pressure, we've had high interest in the product," Gilbert said, "We are getting out to market as much as we possibly can, as quickly as we possibly can, we would ask people to be patient, but interest has been unprecedented, but that's actually got nothing to do with this as an error. "I want to make it clear that we've made a strong commitment to our customers that have pre-ordered."